On our way home from the Netherlands, we stopped in Ghent for a quick visit. 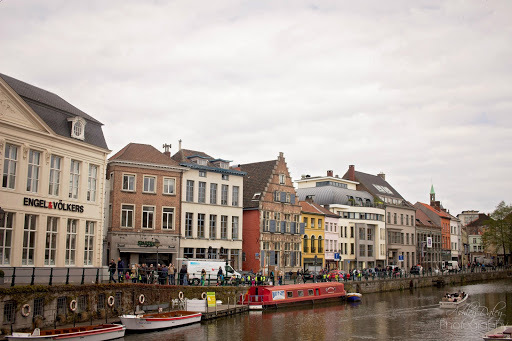 Ghent is a beautiful city in Belgium and we were excited to add it to the list of places we’ve visited in the country. We started off by visiting the office of tourism where they gave us a map that showed us the major sights and a walk that would take us by each one. We enjoyed walking through the city and admiring the beautiful architecture. 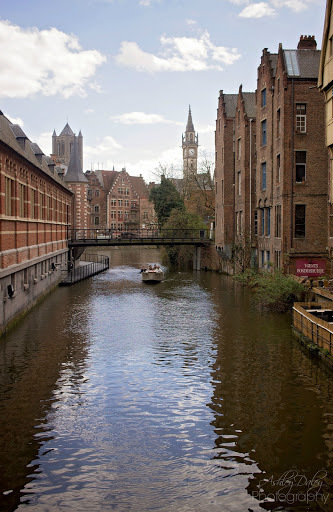 The river running through the city is very scenic and was very pleasant to walk along. We stopped for lunch at Quick, Belgium’s version of McDonald’s… Unfortunately, it also tasted about the same as McDonald’s. 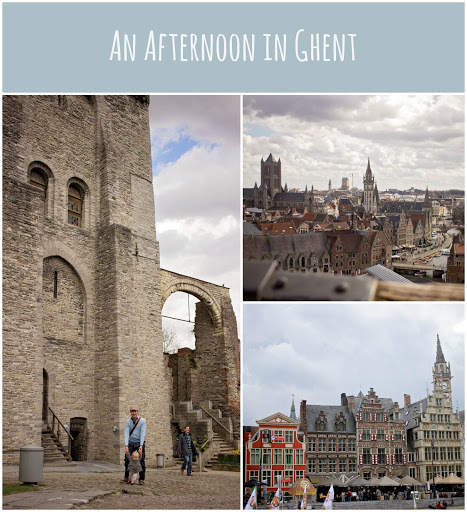 But, it was a quick meal and allowed us time to continue our afternoon in Ghent. 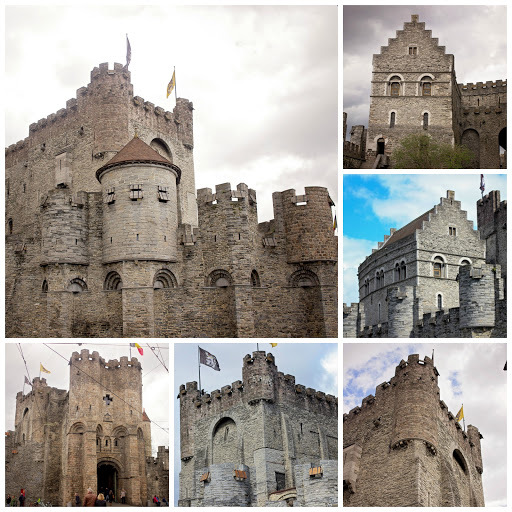 We were excited to visit the Gravensteen castle that we had seen on our drive in, but first we wanted to grab a waffle. 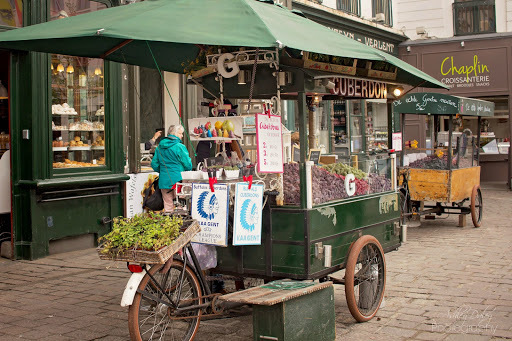 As we were buying our treat, we could hear a man selling triangular candy called “Noses of Ghent“. He handed us a sample and we decided to buy a few to bring home with us. Our last stop was the castle. Originally built in 918 for the Count of Flanders. 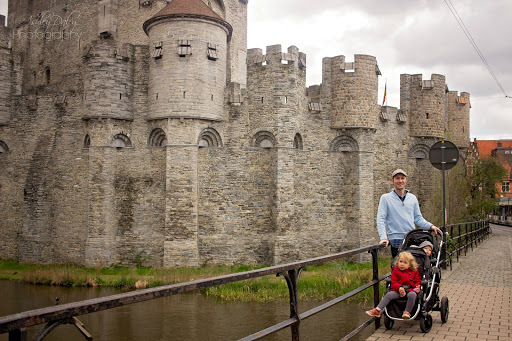 It was a pretty neat castle on the outside with lots of space to run around for the kids. 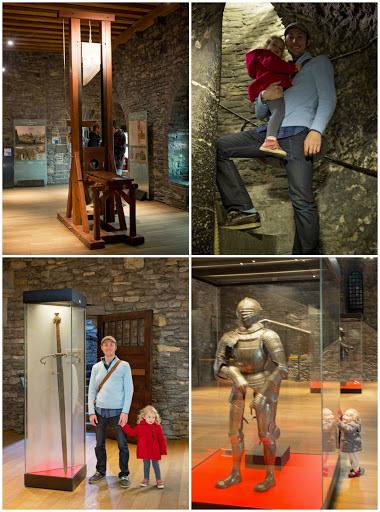 The inside had a collection of knights and swords, but also had a room full of torture chamber items that the girls and I did not enter. We were able to climb to the top of the castle and get a wonderful view of the city! Overall, it was a nice break in our drive from the Netherlands back to our home in France. 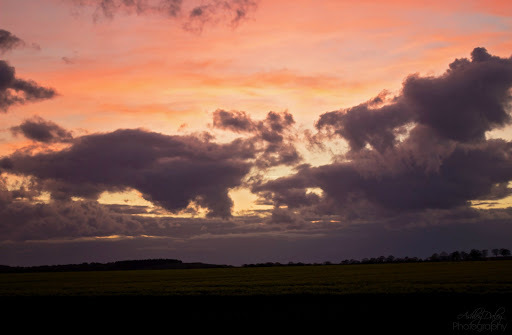 We enjoyed the prettiest sunset driving from Ghent back to Paris!